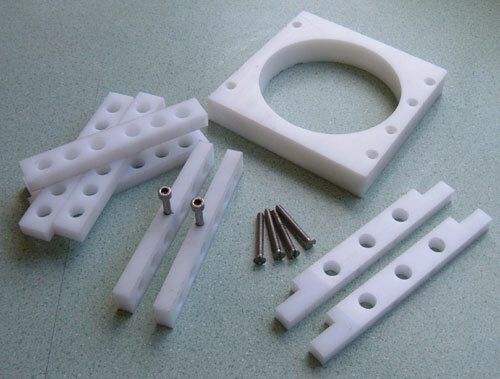 We manufacture Finn mast deck collar bearings and deck slide inserts. 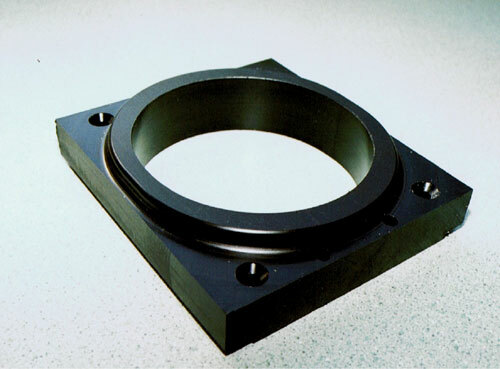 Available as either the bearing and spacer set alone ( to a specified width -- standard width 130mm, Devoti width 140mm) or as a complete unit ready to drop into a rectangular hole cut into the fore deck. 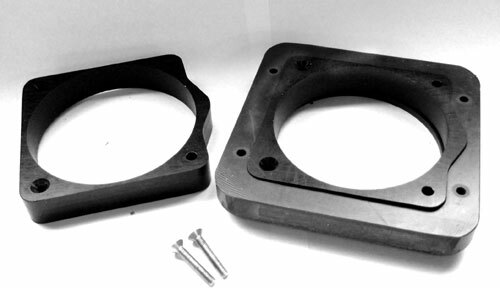 Size - 130mm square, 104mm diameter hole, 20mm deep. Centre hole machined at 5 degree angle to allow mast rake without excessive binding. Plus 6 10mm and 2 5mm lightweight spacers. 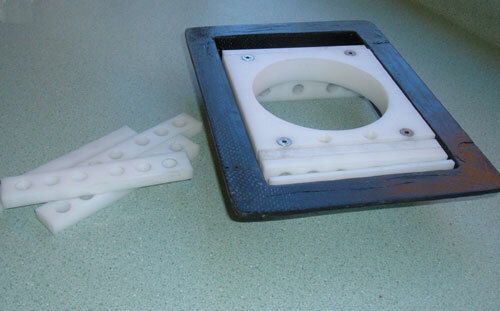 Fibreglass or carbon fibre deck insert available. Scroll down to see complete unit. Installation instruction for V-Tech_343 -- Finn Mast Deck Slide Insert (right click and "save as" to download). 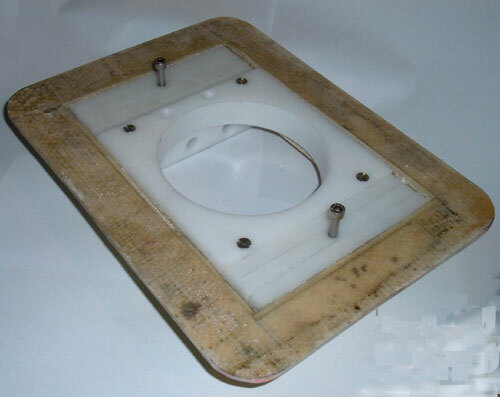 Also available in fibreglass for those who are going to repaint the foredeck. Save NZ$70 on the price of a carbon insert. 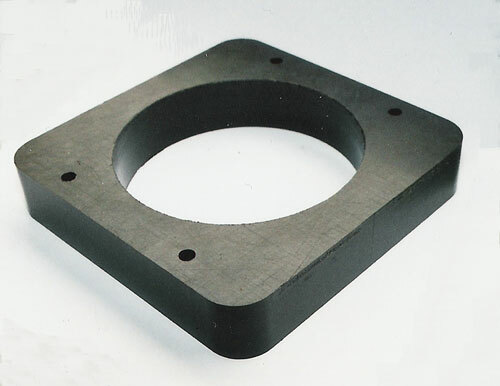 Size 140mm square, 104mm diameter hole, 20mm deep. Any size and configuration to suit specific design needs. 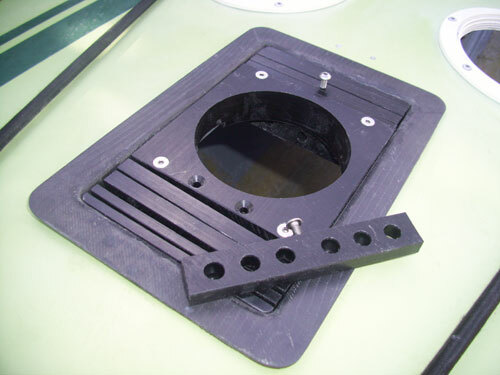 Customised with dual insert to enable either an older mast with 100mm dia mast bearing or a newer mast with 103mm diameter mast bearing to be used on a single boat. Centre holes machined at 5 degree angle to allow mast rake without excessive binding. Finn Mast Deck Collars and Slides can be made to custom diameters and lengths or alternative material and configurations, price on application.